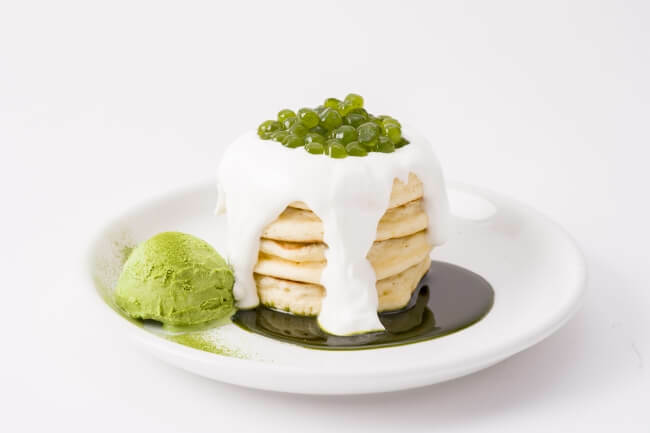 #702 CAFE&DINER in Namba Parks has introduced new tapioca pancakes to its menu which can now be ordered until February 28. 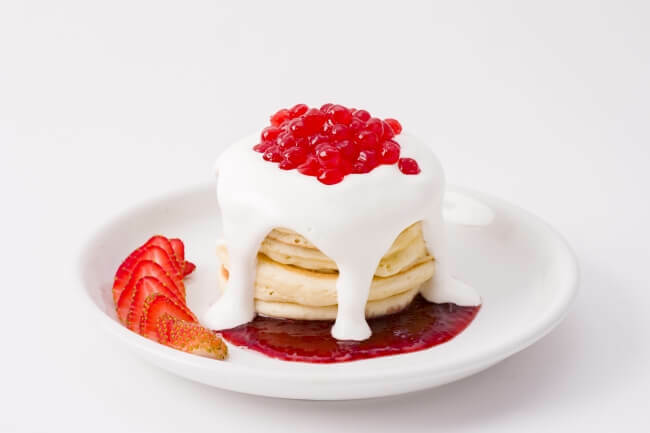 Towering four thick individual pancakes, each serving is topped with smooth and fluffy cream before being decorated with chewy and colourful tapioca. There are four tapioca flavours to choose from: strawberry, mango, matcha and tea. 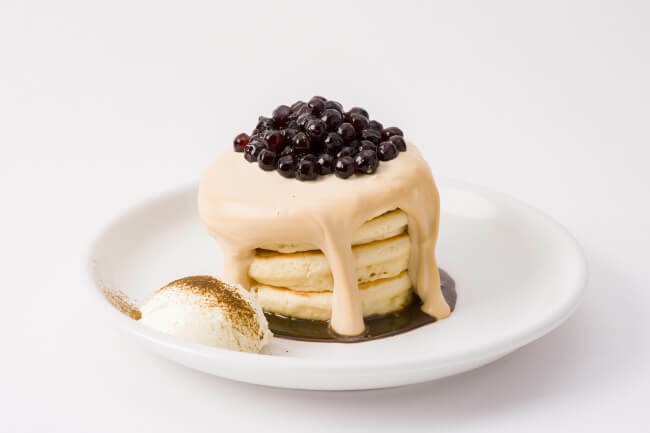 To give an example of how delicious this pancakes really are, the milk tea versions come with tea flavoured tapioca balls, milk tea flavoured sauce, and cream. It’s like eating milk flavoured bubble tea. The toppings may look simple but they are sumptuous, vibrant and photo-worthy.